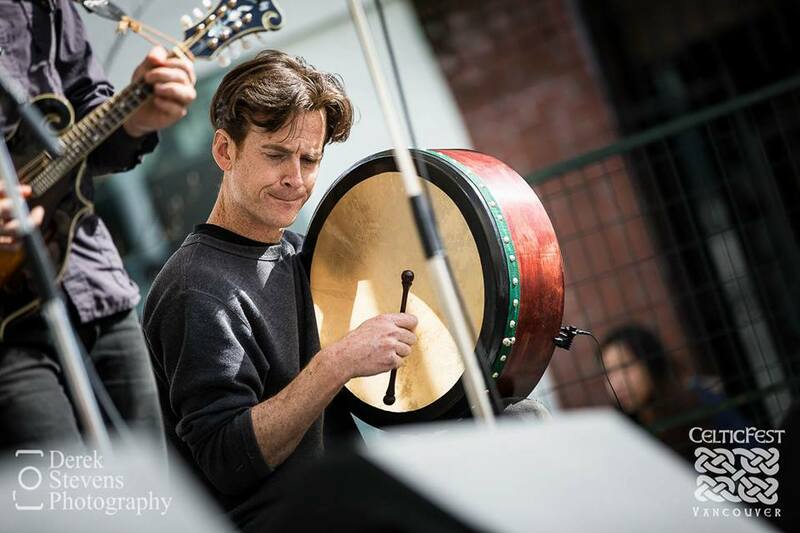 Thanks to everyone who came to see us at Celtic Fest 2015 in Vancouver! 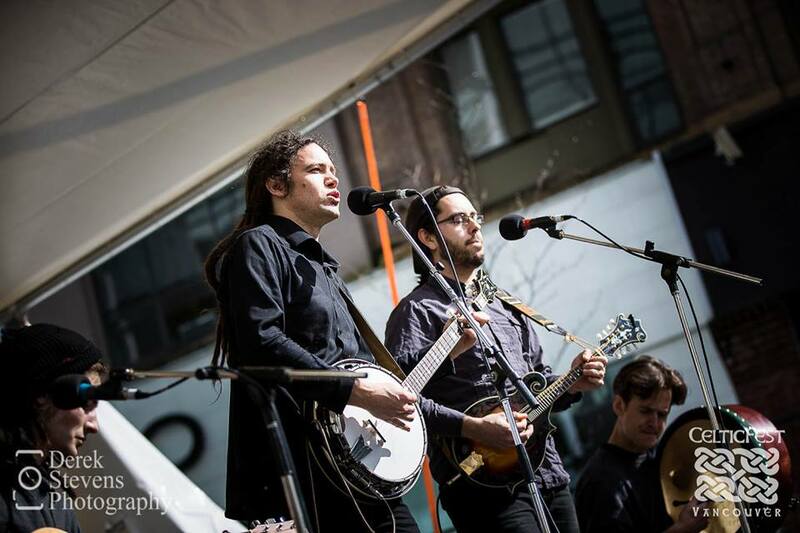 We had a great time on the outdoor stage, which was sponsored by Doolin’s Public House, performing for hundreds of enthusiastic listeners! A special thanks also to Tom, John, and Nicole for inviting us to play, and for all of their hard work on such an extensive cultural event! Congratulations! We hope to perform for you again soon! 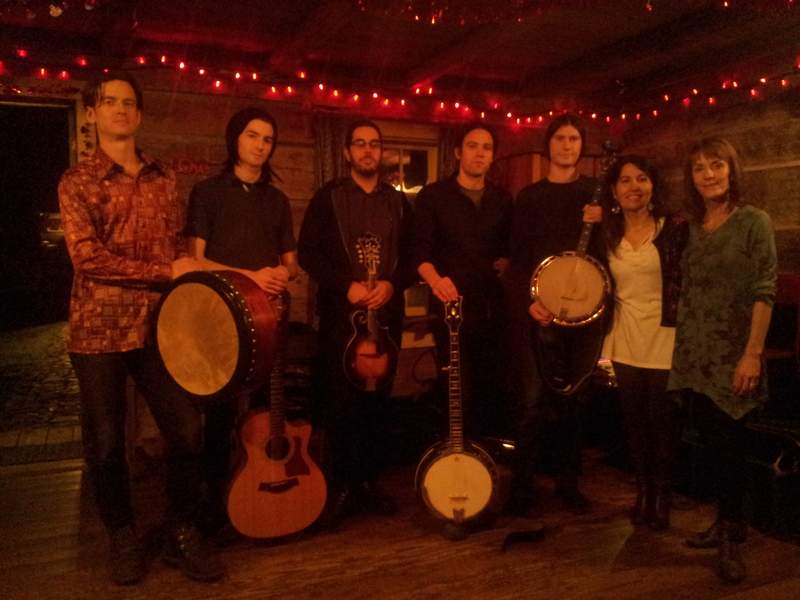 Thanks also to everyone who came out for our marathon performance (5 45 minute sets! )at the Irish Times and the Bard & Banker public houses here in Victoria on St. Patrick’s Day! The pubs were rowdy and loud, perfect! Be sure to check our listings for more gigs at these venues. Lot’s of shows coming up! Keep an eye on the upcoming show listings! Posted in Uncategorized on March 24, 2015 by knackersyard. February was another great month for Knacker’s Yard with a good many many gigs and good times. One of the main highlights was our performance at the historic Caleb Pike Music Coffee House(left picture), which took place in the Highlands district just outside Victoria, on the 14th of February. Zhinoos Armstrong, an extremely out-going, enthusiastic, and positive lady has been hosting folk music shows at the house since 1998. The house itself is actually a small cabin built, probably, around the early 1900’s and tucked away in the more rural highlands district. The house has nothing inside except a wood stove and a small stage for performance. With the stove blazing away, the space was very fitting for a band playing music from the bygone days of an old Celtic world. 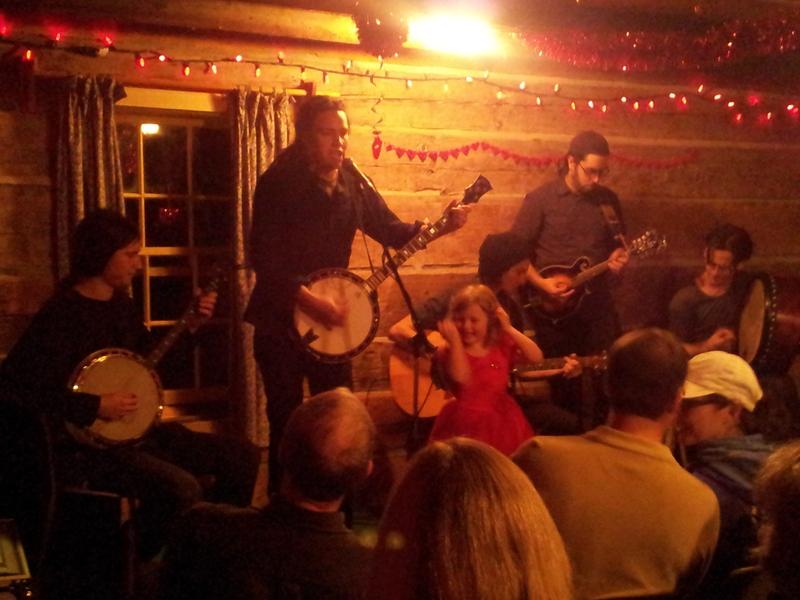 During our second set, a four year old girl in a red dress, who’s name was G wendolin(see picture to the right), boldly climbed the stage to dance and clap along to our songs thus making it a very memorable performance. 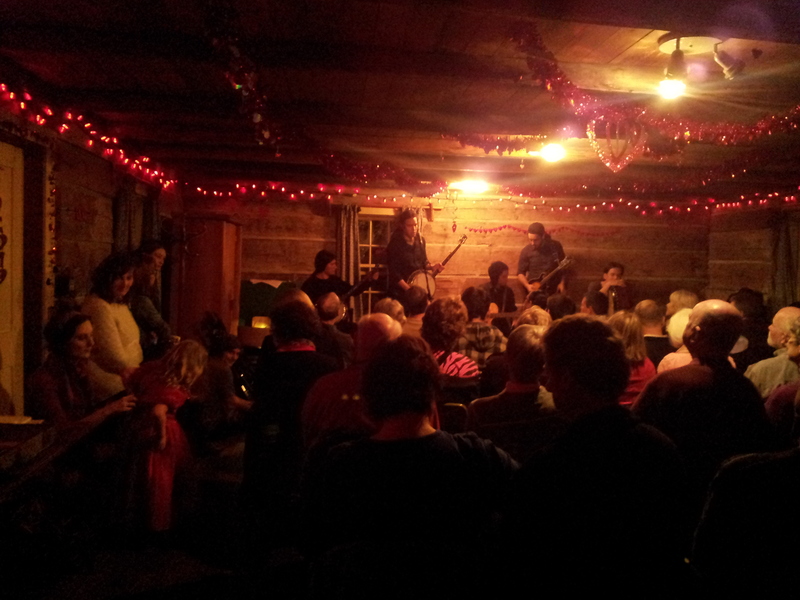 The cabin was over capacity and the audience very warm and excited to hear the band play. If you don’t know about the Caleb Pike Music Coffee House, we highly recommend checking it out. Especially for people who spend much of their time in the city and perhaps long for a more rural musical experience. The shows happen on the 2nd Saturday of every month, start at 7pm, and are only $5 entrance. All cash gathered goes to the performers, which is great appreciated! The house is a mere 20 minute drive down Millstream Rd. If heading from Langford. We certainly hope to return to the house very soon! A special thanks to Zhinoos for booking us as a featured act, the Western Community press for gig coverage, and everyone who came out to hear the band! 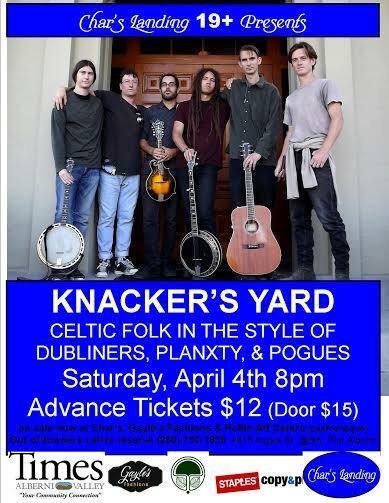 On another note, Knacker’s Yard has been added to the line-up for this years Highland Games. 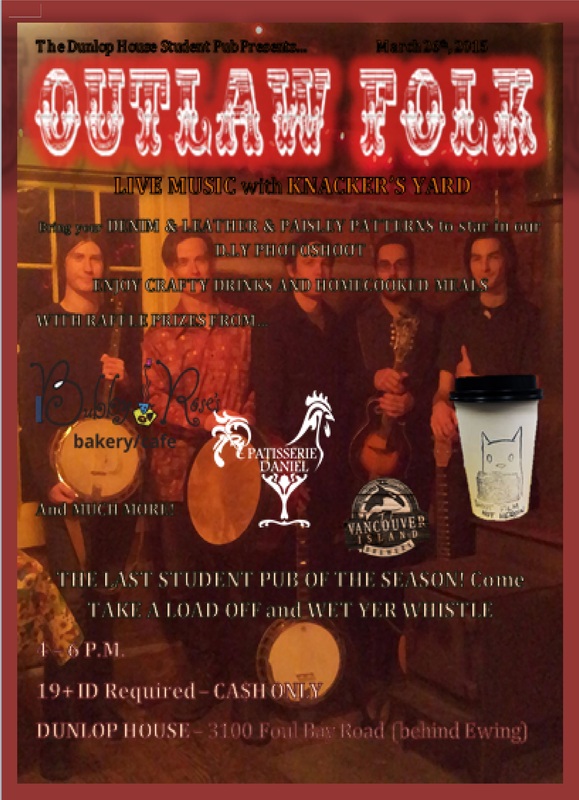 We are very excited and hope that some of you come out to support us for that gig which will take place May 18th at 3PM. More information and venue will be added shortly. We’re very excited to play Celtic Fest Vancouver on March 14th in Vancouver, and the St. Patrick’s day shows at the Irish Times and Bard & Banker pubs here in town. We perform at the Irish Times from 2:30-4:30 PM, and then the Bard & Banker(just a block away!) from 5:00PM-8:30PM. It should be a pretty wild day! 5 sets of music in six hours. Come sing, dance, and drink! Also, to encourage crowd participation, we are offering a free CD to anyone who sings one of our songs with us! Write for song list to prepare! It could be the beginning of a brilliant career. Posted in Uncategorized on March 1, 2015 by knackersyard.